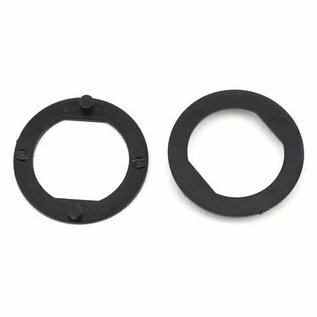 This is a pair of optional Yokomo Differential Lock Rings for the Yokomo YRX-12. This is a 1/12 racing car differential, and it is a part to run in the differential lock state, by mounting this plate instead of the differential rings. 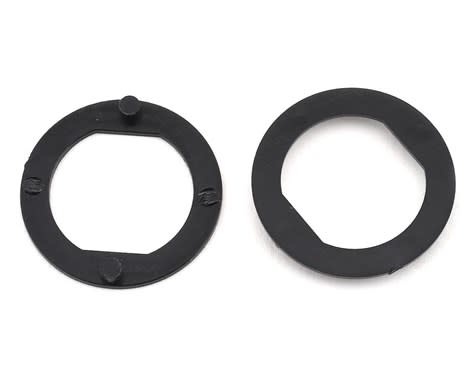 These lock rings are particularly effective on high grip surfaces, it draws a turn arc mainly in the first half of the corner, and in the second half of the corner, it is possible to make a corner that makes use of acceleration by increasing forward power. For use with large diameter differentials such as Yokomo YRX12.